Sea Moon is a red hot favourite in the St Leger odds and the trends certainly suggest that he will take all the beating at Doncaster. Victory in the Great Voltigeur Stakes at York last month propelled Sea Moon to the head of the St Leger betting and this race has proved a good guide in the last decade. Some nine of the last ten St Leger winners had won either the Great Voligeur or the Gordon Stakes at Goodwood in the same season, but with Namibian not running at Doncaster, this bodes well for Sea Moon. Furthermore, all of the last ten winners had raced at least once in the 60 days before the St Leger and had won on their final start, which both apply to Sea Moon. Improving horses also have a fine record in the St Leger, with Sea Moon gaining his highest ever rating when destroying a useful field in the Great Voltigeur, which included Namibian and Irish Derby runner-up Seville. The step up in trip to 1m6f should additionally pose no problems as the horse possesses plenty of stamina, while he also has a useful turn of foot. The only real question marks are that Olivier Peslier is preparing for his first race on the horse and Sir Michael Stoute does not have the greatest St Leger record, while the form of his yard in recent weeks has not been the best. Sea Moon is 11/8 in the St Leger odds to win the world’s oldest Classic and if the ground continues to ease in the coming days then this will only be a further positive to his chances. 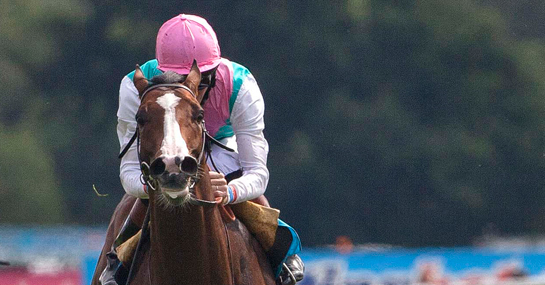 Following Sea Moon in the betting is triple Group One winner Blue Bunting at 4/1 and Seville at 5/1.